The Road to the Horizon: Two colleagues killed in Somalia this week. 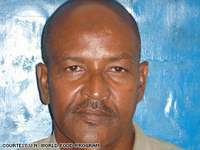 On January 6th, three masked gunmen shot and killed 44-year-old Somali national Ibrahim Hussein Duale, while he was monitoring school feeding in a WFP-supported school in Yubsan village six kilometres from the Gedo region capital of Garbahare. Witnesses say the gunmen approached him while he was seated, ordered him to stand up and then shot him. Today, another colleague, Mohamud Omar Moallim, was shot by unidentified gunmen while distributing food to displaced people at Daynile, 6 miles northwest of Mogadishu. The gunmen put Mohamud's body in a WFP vehicle and drove away, then pushed the corpse from the vehicle and drove on. Mohamud joined WFP in 1993 and worked until 1995 as a logistics assistant. He rejoined the agency in May 2006 as a food monitor. He was abducted in September 2008 for 16 hours outside Mogadishu. He leaves two wives and 11 children. It is clear more and more humanitarians are being targeted, either by bandits or terrorists. Malicious acts include robbery, carjacking, hijacking, physical attacks and plain murder. The amount of victims amongst aidworkers reached record heights in 2007, a sad record broken only by the 2008 figures. As a reference, Patronus Analytical is keeping track of security in the humanitarian world and in International Aidworkers Today I clip news articles about aidwork, and aidworkers.